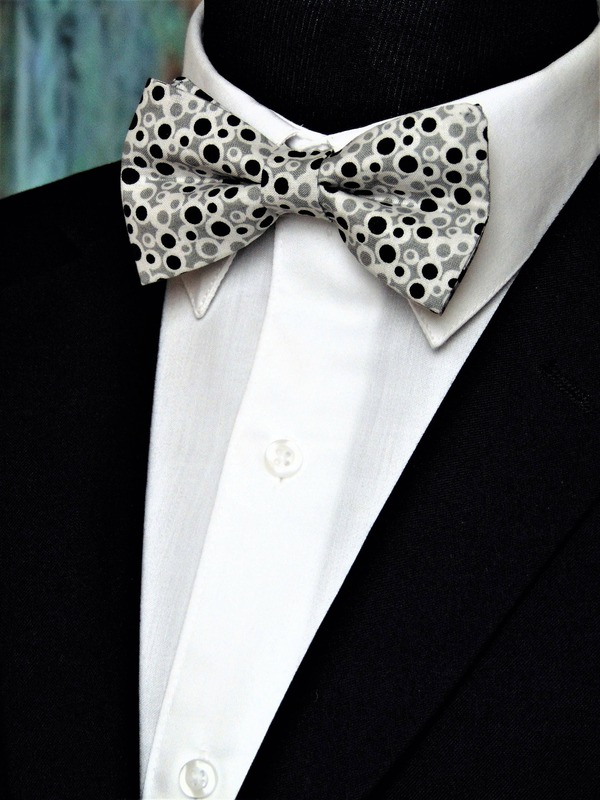 Fun Bow Ties – Mens or Boys Contemporary Bow Tie. 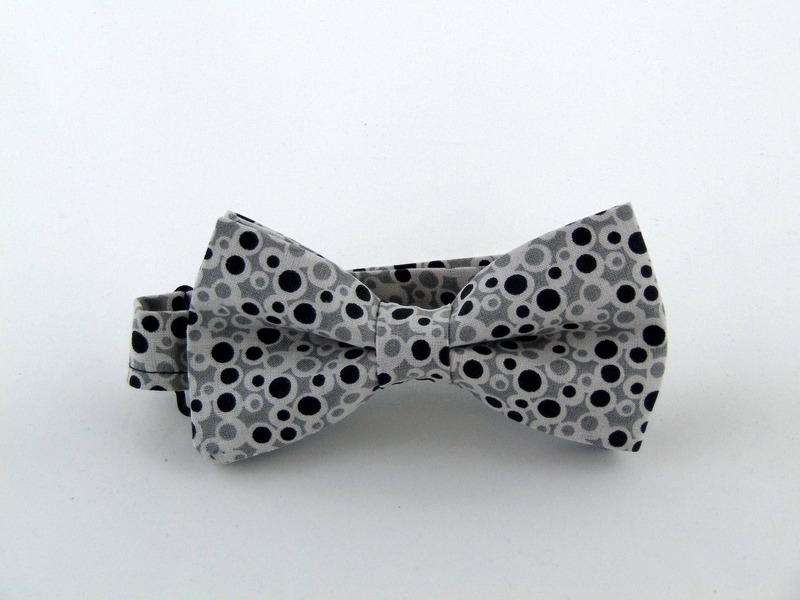 Stand our with this fun contemporary bow tie. 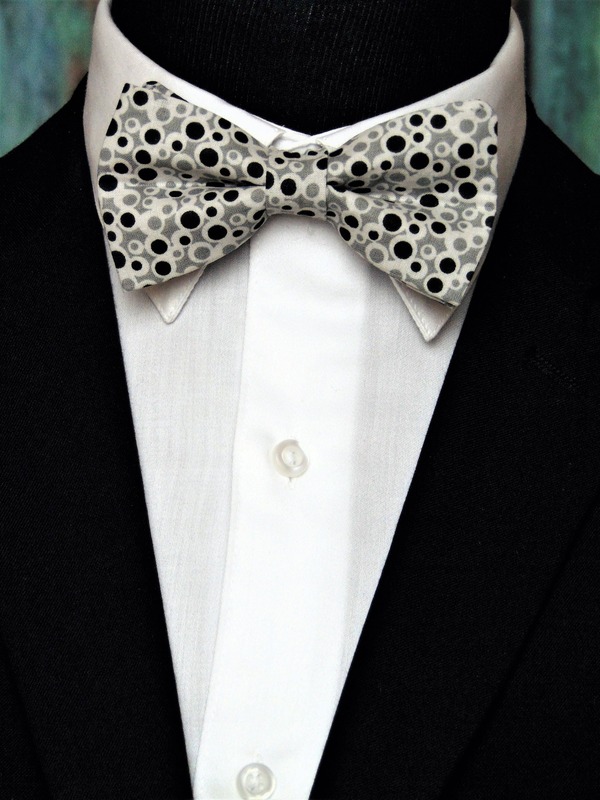 Features a gray background with black in white circles.